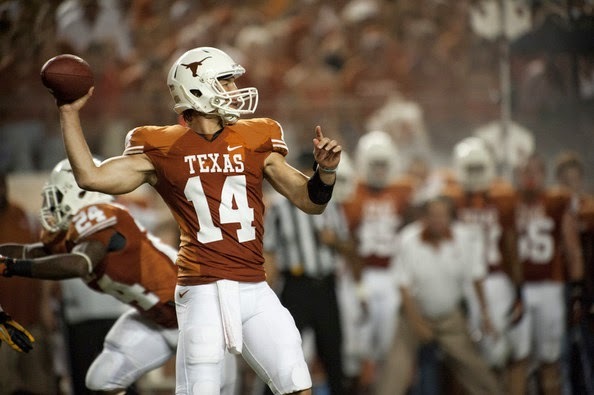 It's official... David Ash will be the starting quarterback for the University of Texas Longhorns, announced by new coach Charlie Strong last week. Just before the announcement, David Ash was given medical clearance for the broken foot injury he suffered during spring season training. The injury he suffered to his left foot is known as a Jones Fracture. What is a Jones Fracture and how is it treated? This foot fracture occurs near the base of the bone. It's a more serious injury because if often disrupts the blood supply to the bone which can slow down recovery. Because of this, more regimented therapy may be recommended. In Ash's case, treatment required surgery as well as therapy, however, not all Jones Fractures require surgery. In some cases, a physician may recommend a below knee fiberglass cast and may prescribe the patient to bear no weight on the injured foot. We're hoping QB David Ash is healed and ready to go in September. Hook 'em horns. Click here to learn more about foot fractures.